Dr Shaquille O' Neal joins the Flat Earth movement! The one and only Shaq has just joined the Flat Earth fight! Dr O' Neal, who most likely does not need a lengthy introduction here, has recently voiced his support for the Flat Earth Theory after he was questioned on Kyrie Irving's beliefs. You can listen to the full podcast here. The Flat Earth discussion starts around the 9:20 mark. Re: Dr Shaquille O' Neal joins the Flat Earth movement! 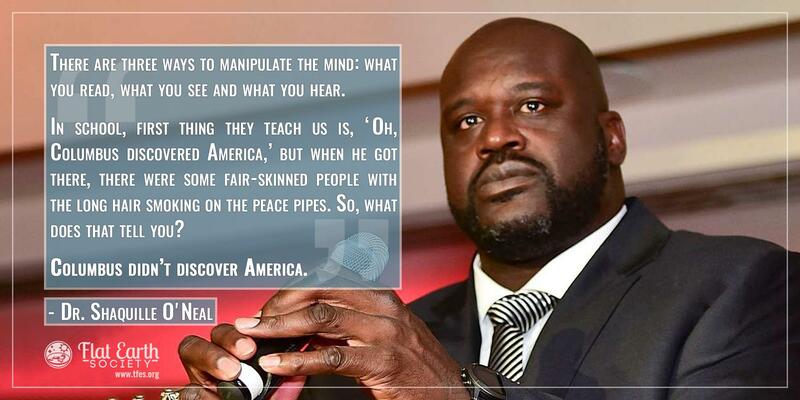 Welcome Shaq, this man has a doctorate! I am sent by the grace of God to ward the Anti Christ has been named as ELON MUSK (Skul Omen). All my accounts have been frozen and by gods grace I need help in spreading the word. His deeds are to enslave you, his cars are there to gas you and kill others. The beast is here, be brave. I love you all. "I do not go up and down a 360 degree angle"
...um - are you quite sure you want this on your front page? It does rather convey a tone of complete nonsensicality that you might want to avoid. If you listen to the context of the debate, it's not surprising that his speech was a bit chaotic. It doesn't take away from the message he's sending. He holds a Doctorate of Education. Whether or not you like his subject field is of very little significance. It's not that I "dislike" his education - I'm just saying that his doctoral field is nothing to do with the FE/RE debate. He's not in some way especially qualified to talk about this. I actually respect his pursuit of education when he could easily have sat back and enjoyed his sports earnings and reputation. But his endorsement of FE is decided shakey. I guess we'll have to agree to disagree. You'll always find a way to discredit someone with an appeal to authority. Meanwhile, we will continue to welcome people with Doctorates of Education who talk about anti-FE deception in education. 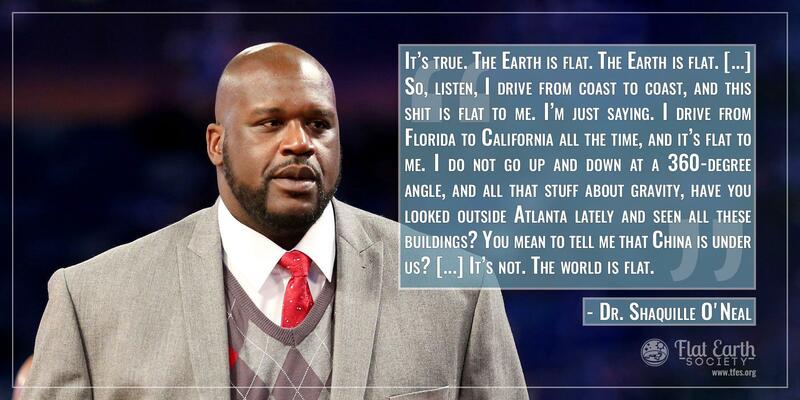 I think Shaquille O'Neal recently said that he didn't really believe that the earth was flat. He said he was just making fun of it. In his way of doing a lot of other odd, but funny, things. As SexWarrior said, this really isn't the place to have this discussion. Locked.